In my previous post, I mentioned how using a colour protecting shampoo like the Wella SP colour save has helped my hair colour last longer since the last hair colour, but I found that my hair was still not hydrated enough – it was slightly dry, brittle and the ends were looking more fried than lush. I needed more intense hydration. So it was lucky that I had another shampoo and conditioner on hand to try and treat these concerns. 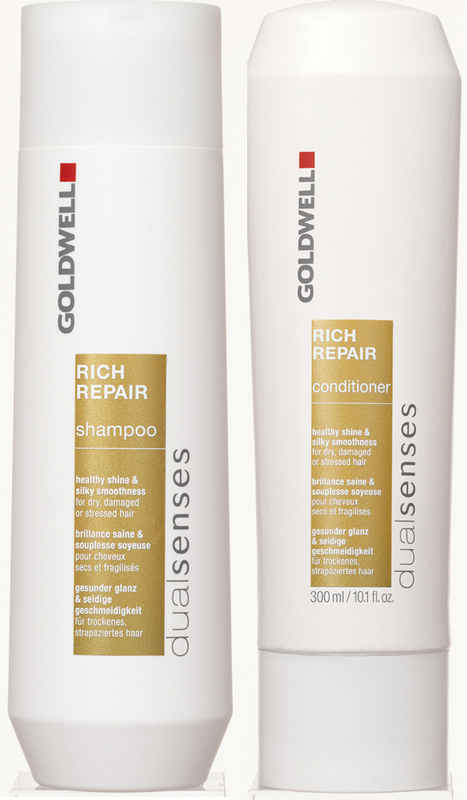 Rich Repair is one of 6 in Goldwell's dualsenses range - a salon quality take home range that delivers maximum care with minimum effort required for the busy lifestyles today. This range contains Instant Microfluid Technology, which delivers active ingredients more quickly and evenly throughout hair to achieve maximum results. Delivers intensive care for dull, dry and damaged hair and suited for seriously stressed hair from everyday styling and heating of all hair types. Infused with with pashmina silk proteins, hydrolysed keratin to smooth and replenish lost moisture increase shine. The conditioner does have dimethicone in its ingredients listing for those who don't like their silicones but the shampoo is light and contains none. I love the indulgent sensuous sandalwood scent the shampoo and conditioner - so heavenly! Gives a light lather that washes out easily. I can feel a difference immediately after using the shampoo - it is very satisfying to able to run my finger through the wet hair without snagging or having it feel stringy. Used with of the conditioner, my hair just feels very smooth and silky. After blow drying there is a visible increased in the amount of shine in hair, it is easier to style with less flyaways. After 3 weeks use, my hair is much healthier and there is a noticeable reduction in the split ends experienced though the use of hair masks (review up next) is a big contribution to that. I must admit I prefer a repair range to a colour save range, purely because I gives me healthier shinier hair and is great for any hair type that needs extra attention to look its best. 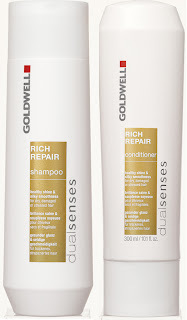 RRP A$20.95 for 300ml at selected hair salons. What are your biggest hair concerns. These products were sent for consideration.